After the huge success of their premier EP ‘Divine Mode’ and their follow-up ‘Back Underground’, ‘Expender’, ‘Anything & Everything’, and ‘Veni Vidi Vici’ tracks (all top sellers on Beatport and Iboga Records charts), Vini Vici continued to produce massive hits while touring the world nonstop – Brazil, Mexico, South Africa, Switzerland, Finland, France, India, Denmark, Germany, United State, Italy, Portugal, Austria, Australia, Serbia, Netherland, Scotland, United Kingdom, Ireland, Israel…..
Finishing 2015 with a bang, the boys were ranked by Beatport as No.1 on the PsyTrance Artist chart and they also landed the Best Selling Track of 2015. They continued to make history early in 2016 with their Vini Vici Remix of ‘Hilight Tribe – Free Tibet’ – the track gained over 15,000,000 views on YouTube and 5,000,000 plays on Soundcloud, while also hitting the No.2 spot on Beatport’s Main chart, and becoming the first psytrance track ever to have entered the Beatport Main Top 10. After such an outstanding beginning to 2016, it’s no surprise that the rest of their year continued to bring this elevated level and even after many successful years before became their best year by far. Some even call it the ‘The Vini Vici Year’ – with over 220 shows in some of the most prestigious electronic music events around the globe (A State Of Trance Festival NL, Tomorrowland BE, Boom Festival PT, Electric Daisy Carnival in U.S.A, Ultra BR, Dreamstate U.S.A, Transmission CZ, Experience BR, Vuuv DE, Sunburn GOA, Luminosity NL, Earthcore AU, Unity IL just to name a few…). 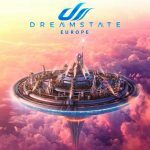 Keeping their No.1 spot on Beatport’s Psytrance Artist list and Best Selling Track for the second year in a row went on to lead a new generation of psytrance fans and producers to their style. Just before ending off 2016 came the jewel in the crown; a collaboration with no other than one of the solid founders of modern electronic music – Armin Van Buuren, featuring french band Hilight Tribe in their creation ‘Great Spirit’. This massive collaboration took over the Beatport Main Chart immediately and gained over 1,000,000 views on YouTube in just 2 weeks, taking them one step closer to their life goal of spreading psytrance culture and energy in the world.